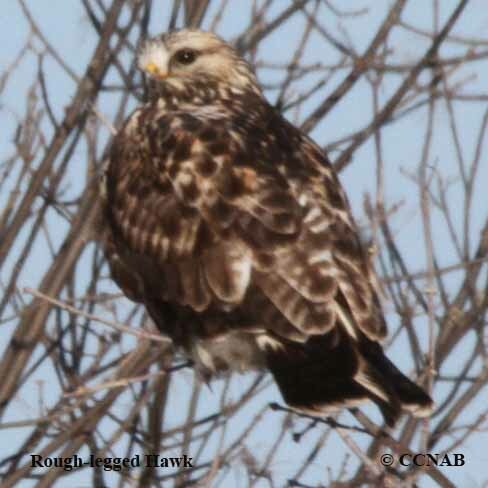 Species: The Rough-legged Hawk (Buteo lagopus) is a buteo, that nests on the arctic tundra. 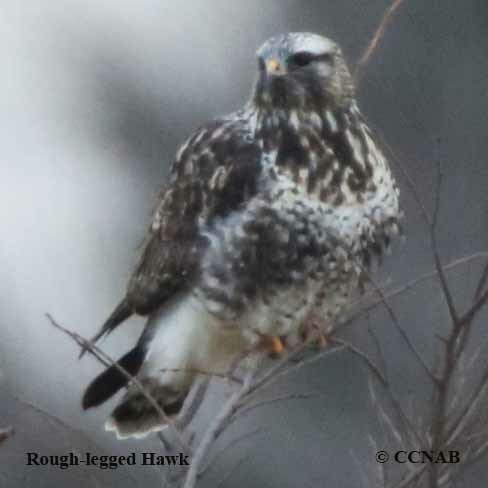 Only this hawk and the Ferruginous Hawk (Buteo regalis) has feathered legs to the toes. 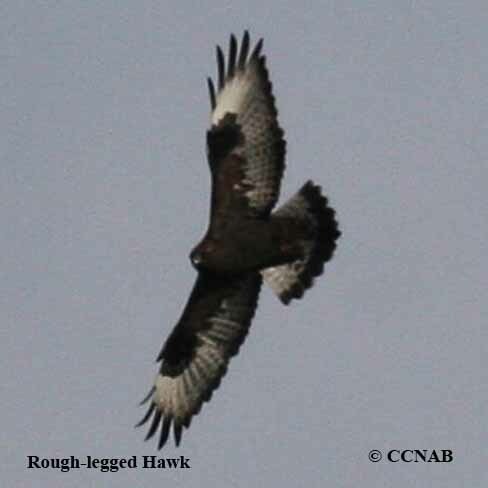 Because of its smaller feet and beak, most likely to hunt smaller prey, such as lemmings, voles and large insects. 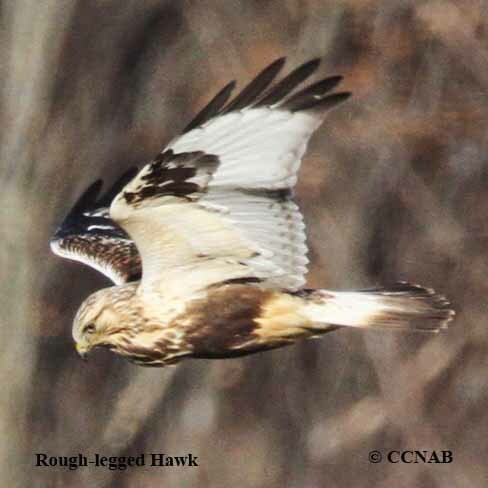 Migrates into southern Canada and the northern US states, late in the fall. 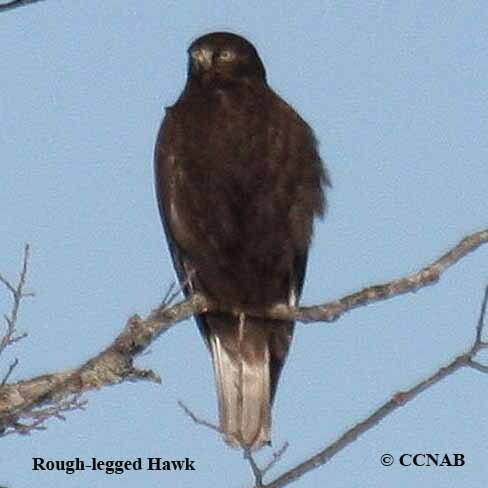 Only migrates as far south as its ability to find prey. Can be easily recognized by its ability to remain over one area, as it hovers over a spot, as it seeks out food. Another such feature of recognition, is its ability to perch on the very top branches of a tree, scanning the grounds below. 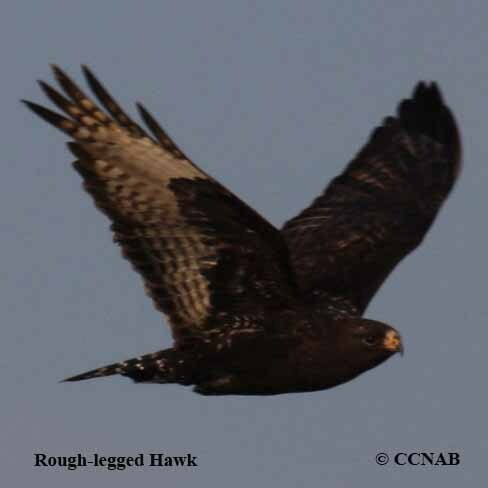 Distinctions: Adults are sexually dimorphic, females showing slightly browner plumage, with large lower breast band. Also, dichromatic, with a light and dark morph variety. 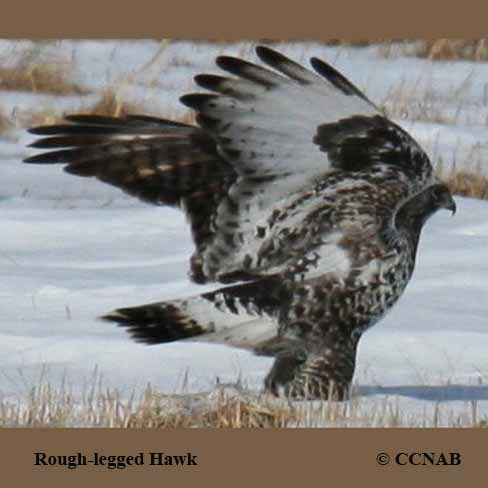 Both varieties have dark carpel patches on under wings, easier to see on the light morph hawk. 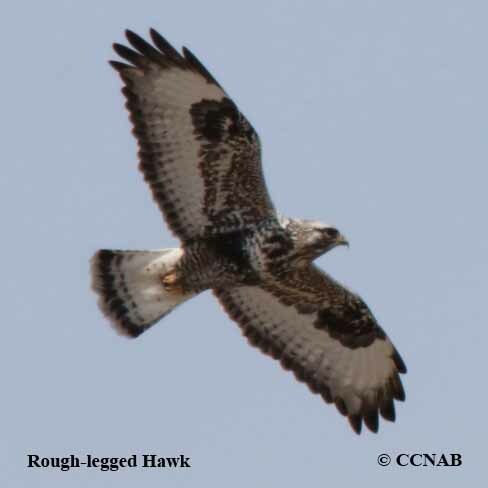 Large subterminal band on tail feathers, with white tips on both types, dark feather tips bordering the wings. 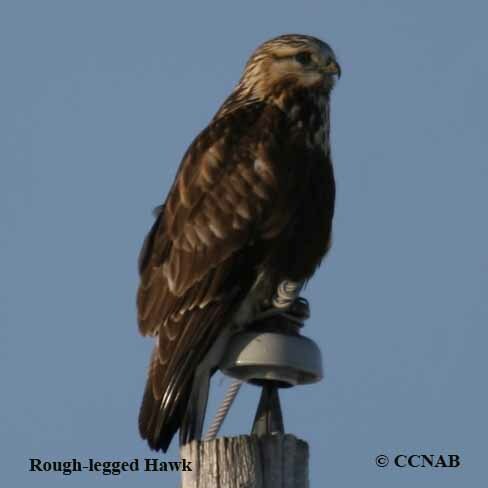 Juvenile has less distinguishable feathers in the light morph, similar to the female in the dark morph type. Voice: Call notes sounding like whistles, from a high pitch to a lower pitch. Nesting: Two to three white and brown eggs, maybe more in years of higher lemming population, one brood per year. Nest built on the tundra floor, if possible on a ridge or side of a cliff, may nest on a man-made structure, such as a tower. May use same nest in the following years. Distribution: Breeds in the North American tundra. Also, this same species breeds in the Eurasian tundra. Can be found from Newfoundland, all the way west, to the northern regions of Alaska in the summer months. 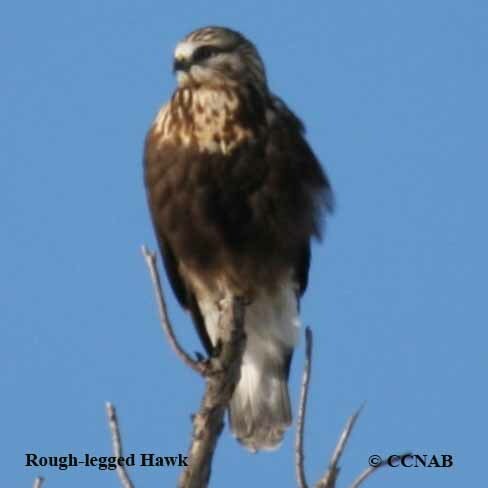 Migrates into southern parts of Canada and the northern US states, from the Atlantic coast to the Pacific coast, where it will remain for the winter months .